Despite normally focusing on software, specifically games, input devices are also coming to the fore during E3 2015 as the potential for Virtual Reality continues to be pushed at all levels. 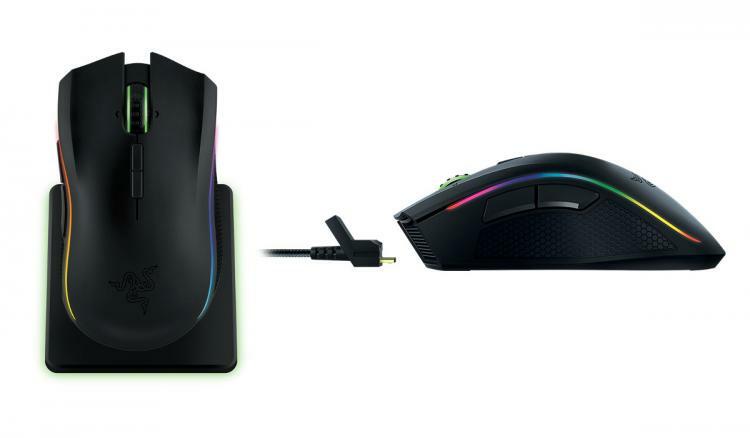 Peripheral manufacturer Razer have never been shy of the limelight, and so it's not surprising to see them generate a little hype of their own this week, starting with the latest Razer Mamba premium gaming mouse. Razer's designs put gaming and style at the forefront of their designs, and Mamba's 2015 model doesn't diverge from that core principle. Outwardly similar to previous Mamba generations, internally it boasts a groundbreaking new laser sensor, adjustable click force technology, and an updated LED lighting package for the slightly more ostentatious among us. The Razer Mamba is kitted out with a 16,000 DPI laser sensor, billed as the most accurate available in gaming mice today. However unlike the competition the sensitivity is claimed to be adjustable to within 1DPI (100 DPI increments are far more common), whilst the lift-off cut-off distance is precise down to one tenth of a millimetre. Naturally for a high-end gaming mouse the Razer Mamba also polls at 1000Hz/1ms, keeping response times low. This will be critical for the mouse's wired mode, which aims to provide all the benefits of any mouse which stay's wired 24/7. Which reminds us. Dual wired and wireless modes aren't exactly new to gaming mice; 2012's Mamba in particular already included that feature. The latest Mamba also reuses the design, providing low 1ms latency when you really need it, or a wired mode for when the batteries are low. When connected wirelessly the Mamba claims continuous usage whilst on battery power of 20 hours. Not bad. A dedicated USB docking station handles wireless communication duties, and acts as a charging station when the mouse is not in use. A new and patent-pending technology from Razer gives users the opportunity to adjust the click force of the main mouse buttons. Now you'll be able to customise the actuation force and response of 'Hyperresponse' button to a particular role; whether it be high-precision sniping or the frenzied clicking of MOBAs and action-RPGs. There are 14 distinct click profiles to choose from, if that level of tweaking is something you're invested in. 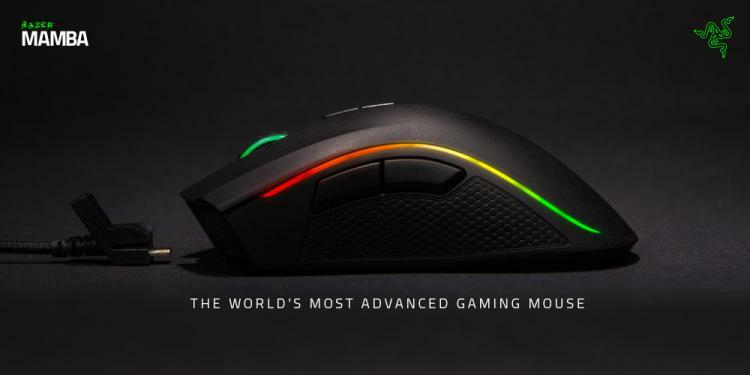 The Razer Mamba also features full RGB LED lighting down the sides as added flair, with linked 'lighting modes' that form part of the Chroma lighting engine. Wave, Pulsing, Spectrum Cycling, Static and Reactive modes are all provide distinct appeal, with the Reactive mode in particular providing visual feedback to onlookers as your lighting intensifies as your actions become more frenetic. 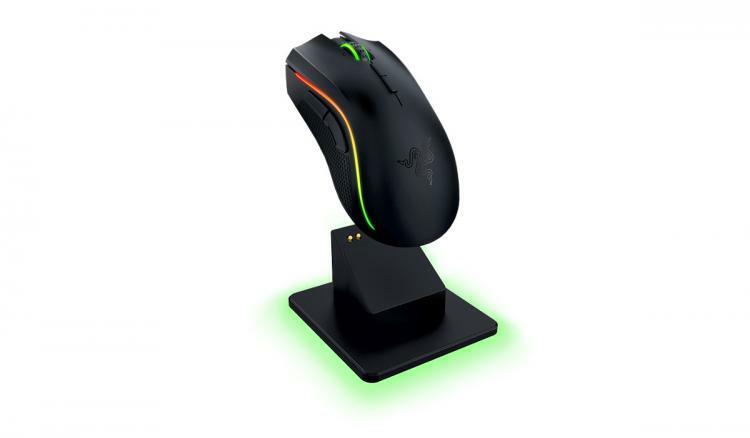 Of course, Razer once again leans heavily on the Synapse software, making the mouse compatible with Windows and Mac OSX system at this time. The lack of on-board memory means that macros are entirely software-based, and although you can share profiles between PCs you won't be able to do so seamlessly without internet access. 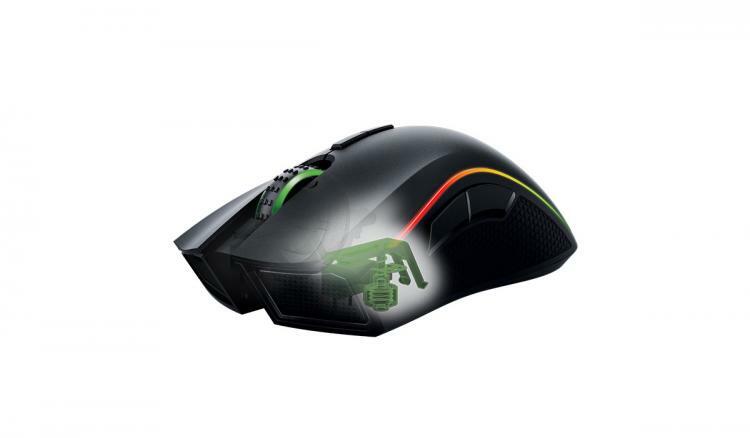 The current Razer Mamba is priced at a littler under £100 in the UK. Expect this new generation of Mamba's to launch with a slightly higher MSRP. Also to be released is a Mamba Tournament Edition, eschewing wireless functionality in favour of light-weight construction. Also announced at E3 is a new line of gaming eyewear from GUNNAR influenced by Razer's unique aesthetic. The eyewear features GUNNAR’s patented i-AMP technology - i.e. lenses engineered to reduce eye-strain by filtering blue light - in frame designs inspired by Razer’s black and green branding. The launch range is comprised of two frame models: Cerberus and RPG. 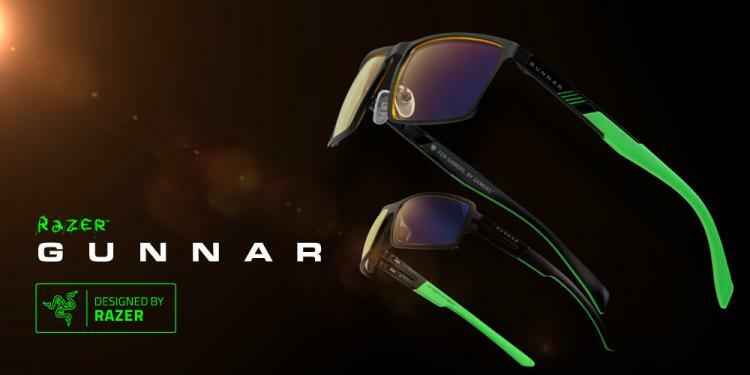 Both have the option of GUNNAR's 'Amber' and 'Outdoor' lens style, and each has their own distinct style whilst remaining quintessentially 'Razer'. Release dates for the 2015 Razer Mamba mouse and GUNNAR|Designed By Razer eyewear are to be revealed. You can sign up for notifications and alerts via Razer's community pages.